One of the things my best friend and I used to laugh about was how she thought the lyrics to that 1994 Roxette song said, "She's so far away, like China in my eyes." I teased her for years over it, even wrote about it in an article on mondegreens. If you're our common friend, at least from our school days, I've surely told you that story. 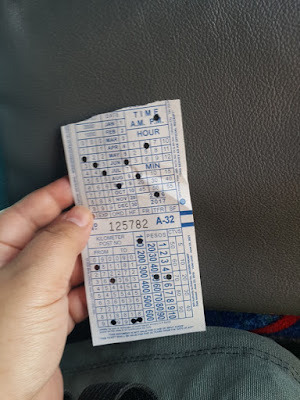 Today, Sherwil walked me to the main road from her house in Cabiao, Nueva Ecija, just in time to catch the 4.05pm bus back to Manila. I'd just spent two days with her, doing nothing and everything we used to do whenever we would have sleepovers at her parents' house in Muntinlupa. But there were a few firsts. It was my first visit to her new home. We went to the few touristy spots she'd always been curious to see. I took a picture of her in front of the big sign that spelled out Cabiao, something she'd always wanted to do but couldn't because there was no one to go with who could take a nice picture of her without cringing. Of course, we argued first about what the sign said: She insisted it said Cabiao, I insisted that it started with a letter N, and it turned out we were both right and talking about two different signs fronting Nabao Lake. It was also our first sleepover that included a silent third party: her baby in her tummy. My future godchild. Sometimes, we'd talk to the little one. 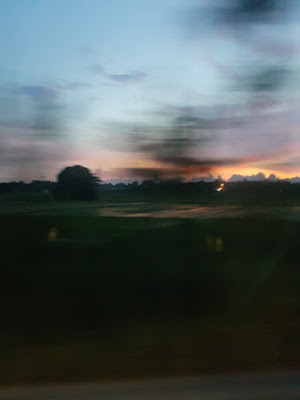 As I settled in the First North Luzon Transit bus that would take me four to five hours away from my best friend's new home, the song "Vulnerable" started to play. I laughed a little, but also thought about how things have changed since 1994, and how there's a post-Sherwil's Wedding version of us, and how there will be a post-Baby Duque version of us as well. But in a few months, Sherwil will be completely navigating the different world of motherhood, while Emily and I are still single and trying to find our footing in this one. Girl friends change -- and in many good ways, but few that benefit their single friends -- when they start their own families. I can't help but think she'll be so far away. You know, like China in my eyes.